Explore almost all places of interest in 1 day with reasonable cost. Trip will begins and ends from one and only touristic place: Lakeside. First of all, we will pickup from your hotel within lakeside area of Pokhara. We will then drive about 25 minutes to Bindyabashini Temple. It is Hindu temple, situated at top of small hill. Then we will drive to Mahendra cave for about 30 minutes. Will explore 2 caves Mahendra and Chamera. Then we will drive approx. 30 minutes to reach to Seti River Gorge. Next to seti River gorge, there is Gorkha museum to explore. Then, we will drive about an hour to reach another beautiful lake : begnas. Here you may explore Lake by rowing boat. Then we will drive you to Devi's Fall. Next to Devi's fall, we will explore Gupteshwor Mahadev Cave. 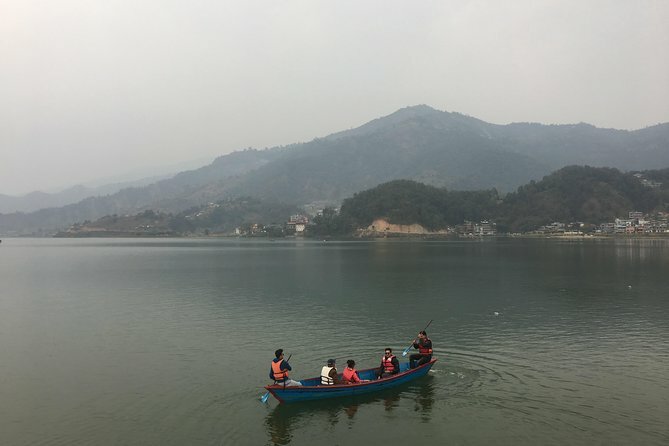 Fewa Lake will be our last point, here, you may take group rowing boat to explore Barahi Temple, situated in middle of Fewa Lake. After that, you can come back to your hotel on you own as it is almost walk-able distance. Hotel Pickup (within Lakeside area of Pokhara). Local Guide (You may ask basic information if required).